Asbestos has been proven to be a hazard to the health of those exposed to it in Oldham and other surrounding areas, but if it goes undetected then you could be breathing in dangerous fibres that can lead to bad health, and in some cases, mesothelioma cancer. You are here because you may have suspected asbestos in your building in the Oldham area and you need an asbestos removal company that services Oldham and surrounding areas. 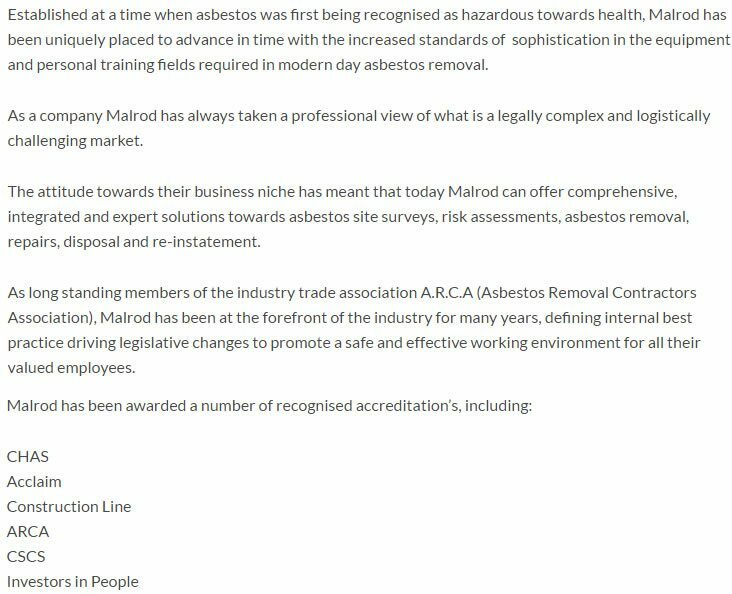 Malrod have been servicing Oldham for many years and are one of the regions top Oldham asbestos removal companies with many accreditations to backup our claims, such as Chas, ARCA, Construction Line, CSCS and more. So you have found asbestos lingering in your premises in Oldham? If you have then please do not attempt to remove it yourself because the tiny fibres that break away from it are dangerous to breathe in. 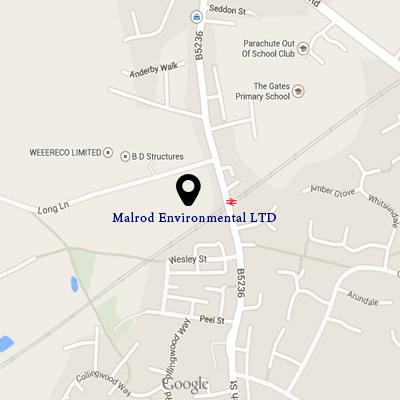 If your Oldham based premises has suspected asbestos then please call Malrod today on 01942 811591. Malrod aswell as operating in Oldham, operate within the following areas: Alexandra, Chadderton Coldhurst, Crompton, Failsworth, Hollinwood, Medlock Vale, Royton, Saddleworth, Shaw, Waterhead and Werneth.